World tourism day is held annually on September, 27th. This date was chosen by the World Tourist organization as the day it was founded on in 1979. The goal of having the World tourism day is to increase public awareness about the importance of this activity and of all its aspects, cultural, social, economic and political. Theme for this year World tourism day is “Tourism and digital transformation” and it is relation to the influence of information-communicational technologies on tourism, as one of the fastest growing branches. Changes in the touristic business which is brought by the digitalization are the inevitability of today, and the success depends on the speed of adjustment. Regarding the World tourism day, an award “Tourist flower” which is the highest recognition in the area of tourism in Serbia is awarded annually to the representatives of tourist economy – agencies and hoteliers, institutions, individuals, journalists for the significant achievements in raising the quality of services as well as the improvement and promotion of tourism in Serbia. The contest was placed on October, 26th 2018, and the award is given in multiple categories. More information about the award can be seen here. Central celebration on this manifestation was held in Budapest, the capital of the country which is displaying the constant growth in tourism. 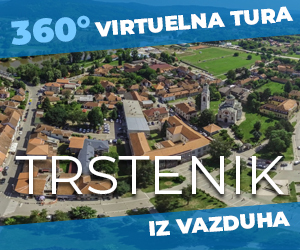 © 2018.Tourism Organization of Trstenik. All rights reserved.